August 15, 2013 – JOHANNESBURG, South Africa – A new study that identifies commendable practices and key lessons for governments in Sub-Saharan countries in their fertilizer subsidy programs has been completed by the African Union’s New Partnership for Africa’s Development (NEPAD) Agency. ‘Practice and Policy Options for the Improved Design and Implementation of Fertilizer Subsidy Programmes in Sub-Saharan Africa’ is a collaboration between the Food and Agriculture Organization (FAO) of the United Nations, the International Fertilizer Development Center (IFDC) and the Alliance for a Green Revolution in Africa (AGRA). FAO provided US $150,000 toward research of fertilizer subsidies in Burkina Faso, Ghana, Malawi, Nigeria, Rwanda, Senegal, Tanzania and Zambia, and an additional contribution of $50,000 from AGRA enabled the completion of the study. The study identifies major issues affecting the successful implementation of fertilizer subsidies in Africa and makes several recommendations on how governments can best manage and implement these in order to contribute to food security and increase smallholder agricultural production. 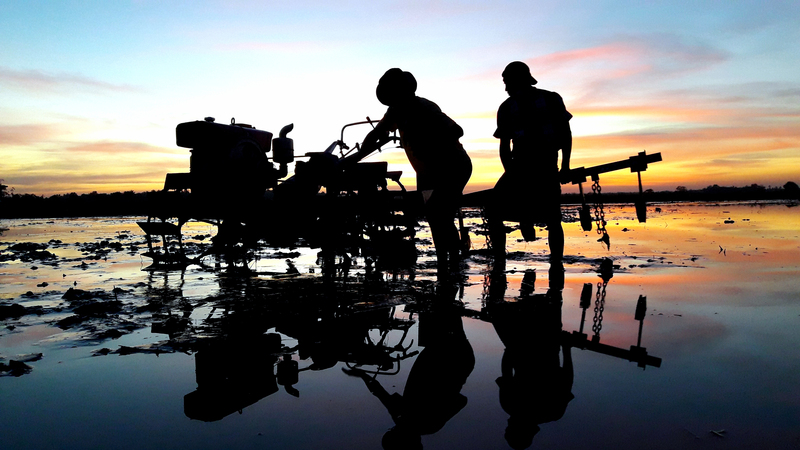 One key recommendation is that instead of viewing fertilizer subsidies as recurring expenditures, governments should think of them as an investment in their agriculture sectors. The study suggests that countries should leave the role of direct involvement in the importation and distribution of subsidized fertilizers to the private sector and focus instead on providing purchasing power support to poor farmers. “Governments need objective technical guidance to help them maximize the return on this investment in the agriculture sector and hence accomplish their food security and income support objectives. In this study, NEPAD and its development partners provide much-needed guidance, based on empirical data, through a set of recommendations for improving the management and implementation of subsidy programs in Africa,” said Dr. Maria Wanzala, NEPAD’s senior policy economist. The study provides a comparative analysis of the quantity and type of fertilizer and other inputs; the cost of the subsidy and whether or not it will be targeted using input vouchers or other funding systems; the types of crops earmarked for subsidy; the availability of credit; improved skills for agro-dealers; market outlets; as well as a source of funds for the subsidy program. The study also presents approaches that have been used successfully by some African governments to implement and manage their fertilizer subsidy programs and some less successful practices that should be avoided. NEPAD will work with the partner institutions involved in the study to integrate its findings and recommendations into ongoing Comprehensive Africa Agriculture Development Programme (CAADP) national agriculture and food security investment plans and programs. The subsidy study is available for download in English and French.